A somber reality of the finances of the U.S. federal government is that they aren’t much removed from that of the Greek government at the moment. Just like Greece, the U.S. essentially is financing its social safety net through borrowing. During recent policy disputes with China, some Chinese leaders have suggested that their country could stop extending the credit necessary for such borrowing to continue. Under such a scenario, the U.S. could find itself forced into some form of “austerity.” So the U.S. has the same relationship with China that Greece has with Germany. This is not exactly how most Americans think about the relationship between the U.S. and China. However, it is a rather harsh lesson about the underlying reality that may be in the offing. On our side of this matter is political turmoil damaging the capacity of the Internal Revenue Service (IRS) to do its job as specified in existing law. If you Google the search phrase “estimate of uncollected U.S. taxes,” a variety of credible sources come up that suggest every year the federal government fails to collect about $400 billion in revenue through a lack of enforcement of the IRS Code. That $400 billion is equal to recent annual budget deficits. In other words, if the federal government enforced existing tax law, we would have a balanced budget with no need to borrow to finance current expenditures. This is what is at stake when Congress undermines the IRS’s ability to enforce tax law by cutting the agency’s budget. Congress has been trying to cut the IRS budget every year. The current dispute over granting tax-exempt status to various conservative organizations is just a smoke screen for an especially pernicious effort to weaken the federal government by starving it of revenue. For those politicians in favor of starvation, it probably makes for a very rewarding practice when the lack of IRS enforcement benefits wealthier tax payers who are adept at avoiding their responsibilities. Here is where Greece also makes for a very instructive comparison. Anyone familiar with Greek society knows that compliance with tax law there is very low. There is widespread cynicism among the Greek populace regarding the fairness of taxes, and an equally widespread perception that most wealthy persons find a way not to pay. For a government mired in debt and at the end of its ability to borrow on the open market, this is a terrible situation. It could take generations of efforts to restore confidence in the fairness of tax collection and Greece may not have that much time available. The U.S. often is hailed for the high level of voluntary compliance with tax law among a large swath of taxpayers. It is a vital sign of the legitimacy of our nation. An important question is how long such voluntary compliance will be sustained if efforts to undermine the IRS make it easier and easier for the wealthy to avoid their obligations. If the U.S. starts down the Greek path toward widespread disregard for paying taxes, the country could be looking at the same doses of fiscal austerity that Greece is trying to swallow now. It should be cold comfort that the persons most likely to bear the brunt of that austerity will be the poor and the elderly if the U.S. has to make drastic changes to its safety net under outside pressure. For those who generally attack government for “inefficiency,” here is one additional statistic to ponder. A variety of credible sources estimate that, for every additional dollar the IRS receives to pay for enforcement of the tax law, the agency recovers between $300 and $400 in revenue. That is an incredible return on investment. Let’s be optimists and go with the $400 number. That means the federal government can achieve a balanced annual fiscal result, with no other politically contentious changes in spending or tax law, simply by giving the IRS and additional $1 billion every year for enforcement. The total Federal budget is about $4 trillion. Achieving balance and ending annual deficits would require a change in spending of three-hundredths of 1 percent – a number so small that it is well within the margin of error for estimating federal outlays! We cannot afford to undermine our tax system by undermining the IRS. This should be a very high priority for any serious presidential candidate. Any leader within Congress, who wants to prevent our country from going down the same path as the Greeks, should also consider this a high priority. We need to reinforce perceptions that the IRS does ferret out efforts to avoid taxes regardless of wealth and political access. We need to restore long-term fiscal solvency for the government. That sounds like an incredible bargain at $1 billion per year. Author: Erik Devereux has worked for over 20 years in the public policy and management field, including teaching full-time at Carnegie Mellon University’s Heinz College and serving as executive director of the Association for Public Policy Analysis and Management. Trained in political science, he is a Phi Beta Kappa graduate of the Massachusetts Institute of Technology and earned a Ph.D. from the University of Texas at Austin. 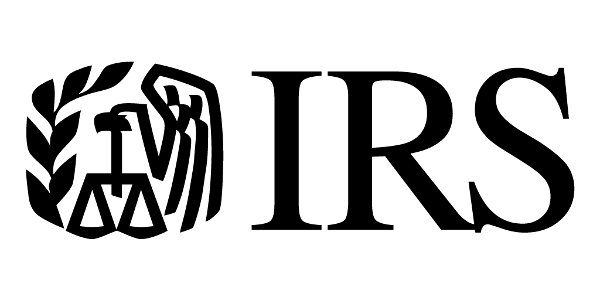 If the IRS would spend time going after those who don’t pay rather than trying to destroy political enemies of whoever is in power maybe we wouldn’t have this problem. The issue isn’t that that they don’t get enough money because they get MORE than enough based on their behavior. The issue is to clean house and get them to do their jobs. Then you can get a simpler tax code that will facilitate people paying and not finding ways to cheat.